When it comes to your health, there is no room to cut corners. But health care can be expensive, especially if an illness or injury unexpectedly happens. In the past, your only option for receiving care on a weekend or holiday was to go to the emergency room, sit in a crowded waiting room, and spend twice the amount of money. If you live in North Carolina and are sick or injured, and looking for low-cost urgent care in Winston-Salem, FastMed Urgent Care can get you in and out, and on your way to feeling better in no time. How many FastMed Urgent Care locations are there in Winston-Salem, NC? FastMed is open 7 days a week, including holidays, until 8 pm on weekdays and 4 pm on weekends. Does FastMed accept my insurance? FastMed accepts most major insurance plans, including BCBS, Medicaid, and Medicare. Click here to see a full list of accepted insurance plans. FastMed offers discount programs for qualifying patients. Think you may qualify? Click here to view our discount enrollment form. How do I pay for my FastMed visit? FastMed accepts most major credit cards and personal checks for in-clinic payment. We also offer online bill pay and automatic payment options. No. However, checking in online with our ZipPass can help reduce your wait time. 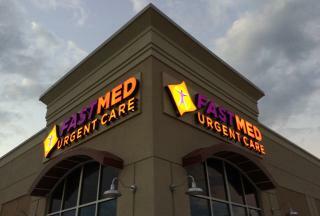 What services does FastMed Urgent Care in Winston-Salem offer? FastMed’s mission is to offer great health care services conveniently and affordably. Do you live in Winson-Salem, NC? Stop by or call us today!